UWI economist Dr Roger Hosein, former PNM government minister Mariano Browne and economist Indera Sagewan-Alli all condemned Finance Minister Colm Imbert’s attack on their credibility. Imbert made claims against them before the House of Representatives approved the Mid-Year Review around 1.39 am yesterday. He also criticised economist Marla Dukharan and former COP senator Dr Patrick Watson. Hosein questioned how Imbert could associate any one of them with the United National Congress (UNC). “For myself, I was one of the harshest critics of the UNC as concerns GATE and CEPEP. Does this make me PNM,” he asked. 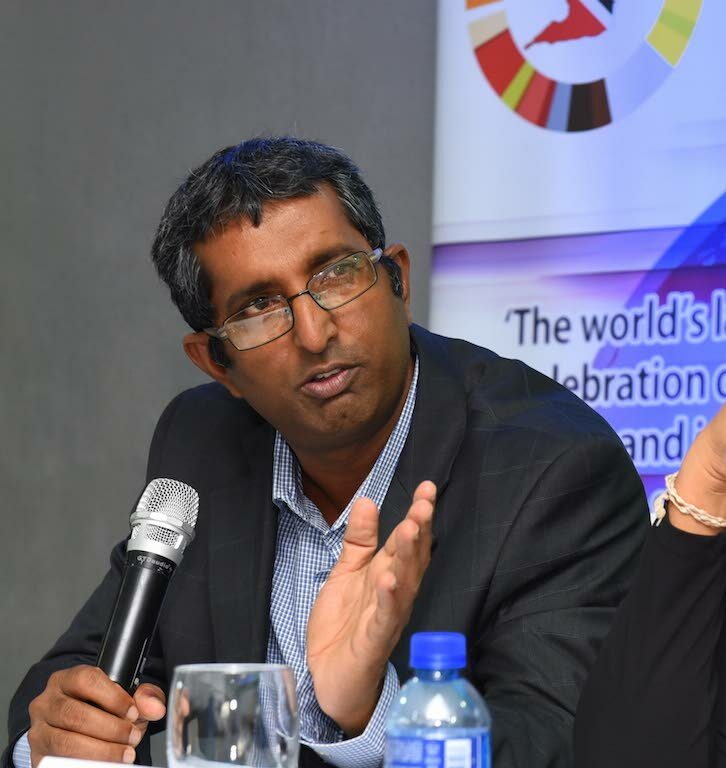 Hosein said he presented at a recent Spotlight on the TT Economy hosted by the Government. “Does this make me PNM,” he asked again. For her part, Sagewan-Alli said Imbert’s harsh criticism meant she is “doing something right.” She recalled being criticised by both PNM and UNC governments for her views on the economy, and described Imbert as a coward for attacking her credibility under the protection of parliamentary privilege. She said if Imbert is branding her as biased, then he should do the same with the IMF and Standard and Poors (S&P). She described Imbert as “a magician” for presenting the figures he did. Doubting there was growth in the non-energy sector, Sagewan-Alli welcomed the opportunity to speak with Imbert about the low-hanging fruit and fruit that is dragging on the ground, to strengthen this sector. Reply to "Colm told to focus on economy"